BIOKIP S.A. is the company of the two brothers Pavlos and Charalambos Apostolidis. Pavlos Apostolidis is an agronomist and organic farmer who produces in his orchards kiwi fruits and oranges as well as vegetables in his greenhouses. In order to meet his needs for packing facilities and the needs of a big number of other organic farmers along the western coast of Greece and on the Peloponnese, the Apostolidis brothers run a modern pack house near Arta. 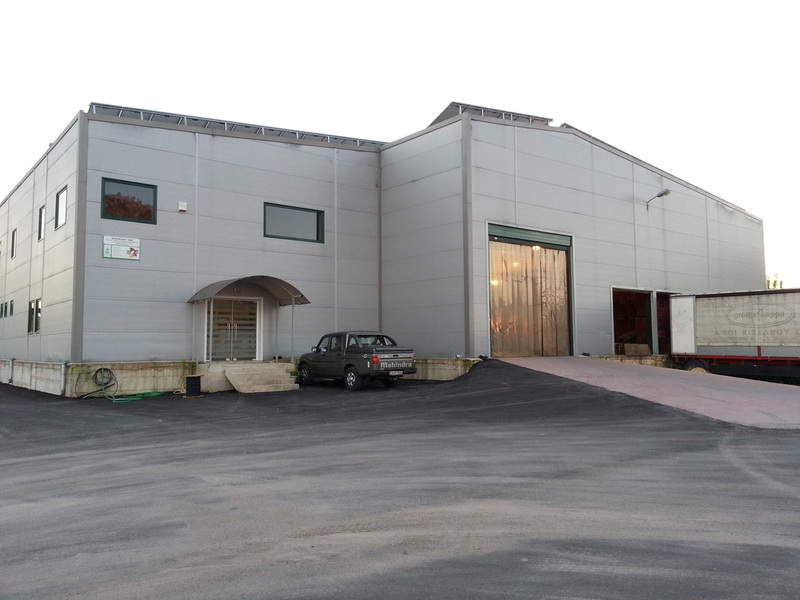 The pack house, in which mostly citrus fruits and kiwis are packed, is certified by CosmoCert (GR-BIO-18) according to the European Union’s Organic Regulation 834/2007. Furthermore, it meets the ISO, HACCP and GlobalGAP standards. As a licensed member organisation of the PANHELLENIC BIOCYCLIC VEGAN NETWORK, the pack house is also certified by BIO HELLAS (GR-BIO-03) according to the Biocyclic Vegan and Naturland standards. The modern pack house equipment offers the possibility to pre-pack at source both citrus fruits, berries and kiwis in almost every type of packaging. The small distance to both, the most important organic production centres of Greece and the port of Igoumenitsa, allows the Apostolidis brothers to play a central and strategic role within the network. 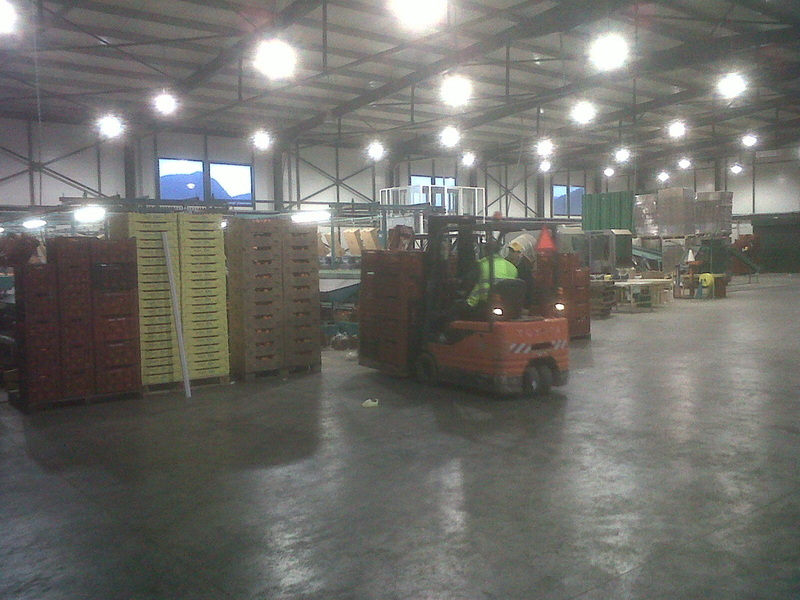 Top middle: Pavlos and Charalambos Apostolidis in the kiwi warehouse. 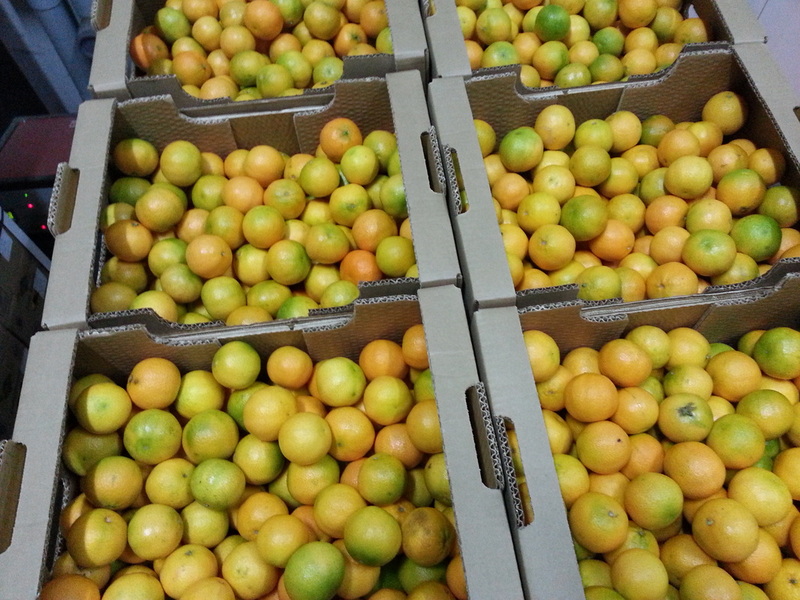 Bottom middle: Clementines shortly before loading. 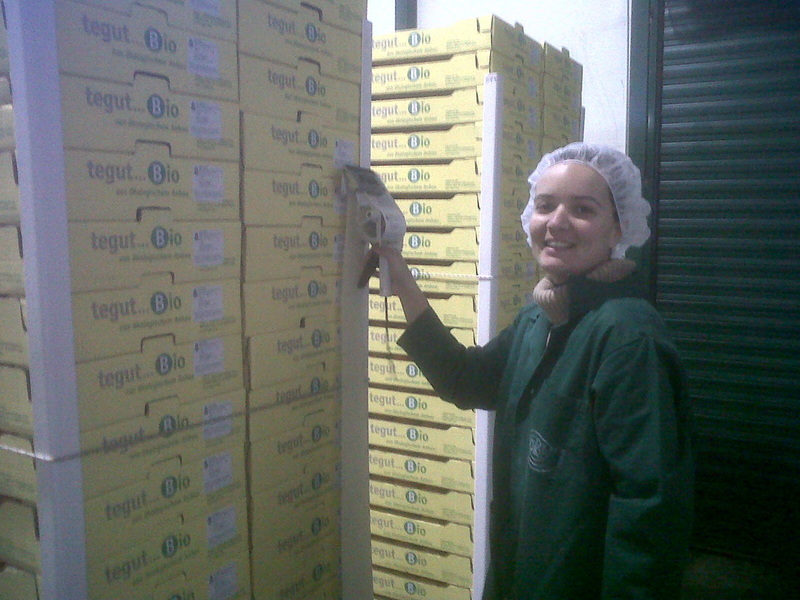 Top right: Efi Stamou while labelling a finished pallet. Bottom right: View of the packing operation.